I’m so happy to be hosting my first ever guest post today! Please welcome Jenny from My Little Me – and when you’re done reading, go over to visit her fabulous blog! My favorite post of hers is Button Felt Fish Busy Bag – I think you’ll like it, too! My kids absolutely loved this this finger paint art project we worked on recently! Have you tried to finger paint with your children? It is so much fun and not as messy as you might expect. I love doing simple crafts for toddlers to be able to participate in. The fun part for all the kids (and easy enough for the toddler) is letting them get their fingers messy! Start by mixing different amounts of white and black together to make several shades of gray to almost white. 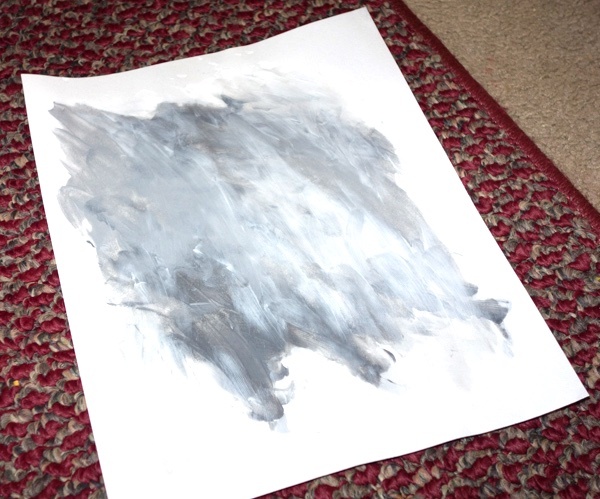 Then let them create their own pattern on a sheet of white paper using the different shades of gray. You need to let this dry before the next step. We used a hair dryer because they were too excited and wanted to continue the project! 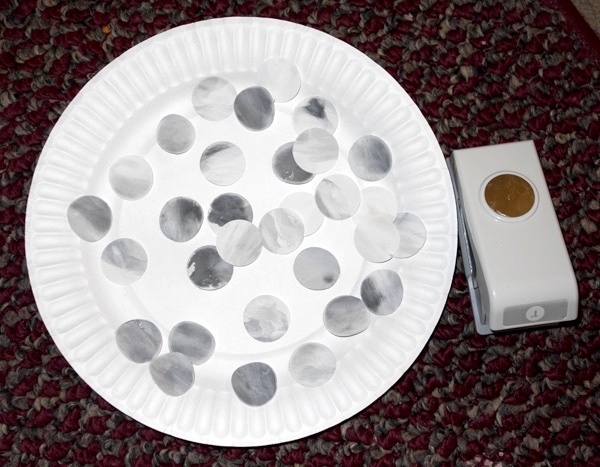 Once dry, let the kids work on their motor skills by punching circles out of their paper. Show them how to punch out as many as they can. When all of their circles are ready, instruct them to make a cloud by gluing the circles onto a black sheet of construction paper. Let them make their rain cloud look however they want, even if it’s a straight line, or spread throughout the page! I loved seeing the clouds my kids created! 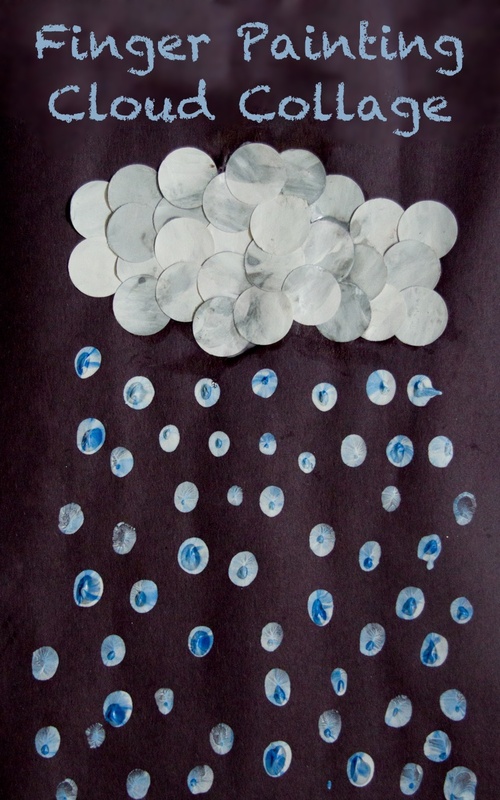 For the rain drops, we swirled white and blue paint together and they used their fingers to print the rain drops on. I think their fingerprint raindrops are so cute! 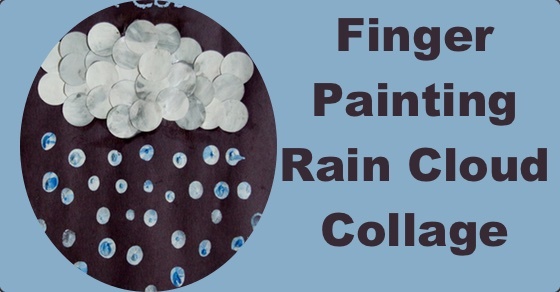 This is such a great craft to do on a rainy day and pair wonderfully with these fun educational weather printables. And after the rain has finished and all that remains are puddles, you’re kids will love making fizzy puddles!